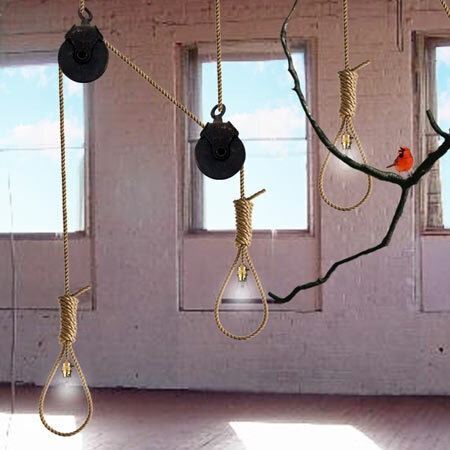 Designer Ana-Maria Pasescu Stewart has created a light inspired by a hangman's noose. The lamps are made from thick rope with a power cable woven into the middle. "It is easy to assemble and maintain, and can be easily bent to many different shapes,"says the designer. "The idea is that you would purchase it along with its own metal or wooden pulley system, allowing the user to manipulate the height of the light as they please." The lamp is available in red, blue, green or black.